Dr. Ivelaw Lloyd Griffith, President of Fort Valley State University, spearheaded the institution’s efforts in fall 2013 to provide key stakeholders with vital information illustrating FVSU’s economic impact on the local and statewide economies. When developing the conceptual framework for this initiative, Griffith stressed the importance of not only identifying Fort Valley State’s educational values, but also its gifts to the community and state as an economic enterprise. It was within this construct that Lisa Wilson, Director of Sponsored Programs in FVSU’s External Affairs Division, established a partnership with Hanover Research in early 2014. Hanover serves as an effective extension of Wilson’ staff as well as a time-saving tool. While the University System of Georgia (USG) already conducts annual economic impact reports on its 31 constituent institutions, FVSU desired a more detailed analysis focused on its specific economic and social impacts. To quantify FVSU’s influence on local, regional, and statewide economic development efforts, Wilson commissioned Hanover Research to perform both quantitative and qualitative economic impact analyses. • Long-term social benefits (e.g., FVSU-hosted student community service and volunteer work, cultural programs, athletic events). Hanover’s methodology assessed not only demand-side inputs, but also intangible benefits to local residents. This analysis incorporated the elements listed in the image on the right. Hanover’s report validated that in fiscal year (FY) 2013, FVSU’s operating, capital, payroll, and student spending supported over 1,300 jobs and contributed nearly $139 million to the Georgia economy. Further, based on the estimated earning potential in the state of Georgia, FVSU’s graduating class of 2012 will earn nearly $9.5 million more per year than state residents lacking comparable education credentials. An invested member of the Fort Valley community, FVSU operates programs now proven to support a diverse cross-section of local residents. 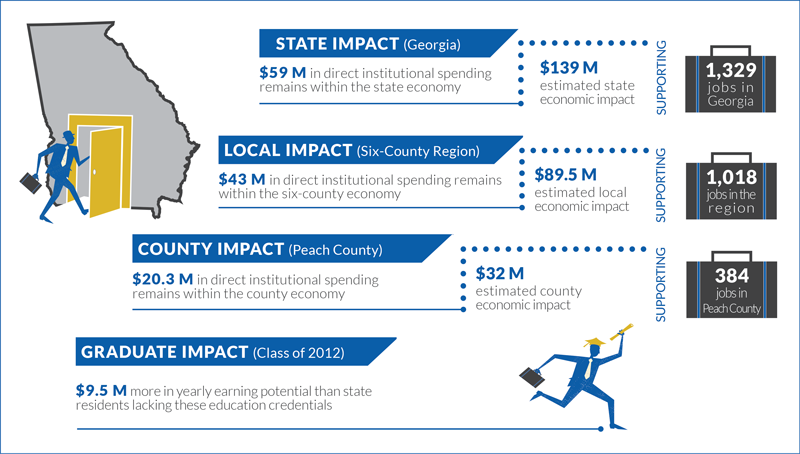 FVSU’s impact on the local economy totaled nearly $90 million in FY 2013, and supported 1,000 jobs within a six-county region surrounding the institution. The output amount was fueled by $43 million in local spending within the region by FVSU and $25 million in spending by university students. “The Hanover report provides more powerful evidence that our university is not only an influential educational enterprise, but also a formidable economic enterprise. We are benefiting the surrounding communities in general, and businesses and other vendors, in particular,” said FVSU President Dr. Ivelaw Lloyd Griffith. This data is immediately applicable not only to FVSU, but also to local enterprises and community leaders. Since the report’s release in August 2014, FVSU has briefed the Peach County Chamber of Commerce and Development Authority on the findings. Subsequently, the Chamber of Commerce has integrated the economic impact data into its marketing efforts to engage new business. Fort Valley State University is accredited by the Commission on Colleges of the Southern Association of Colleges and Schools to award baccalaureate, master’s and educational specialist degrees. Contact the Commission on Colleges at 1866 Southern Lane, Decatur, Georgia 30033-4097 or call 404-679-4500 for questions about the accreditation of Fort Valley State University. Fort Valley State University is an affirmative action, equal opportunity institution and does not discriminate against applicants, students or employees on the basis of race, gender, ethnicity, national origin, sexual orientation, religion, age, disability or marital or veteran status. 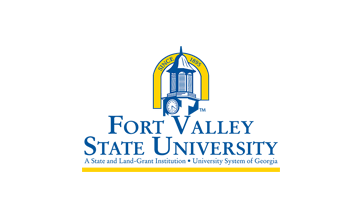 Fort Valley State University (FVSU) is a land-grant university and one of Georgia’s three public historically black colleges and universities (HBCUs). FVSU’s mission is to advance education with an emphasis on fulfilling the needs of its community. The institution achieves this vision through “communiversity,” an approach that focuses on the interdependence between community and university. FVSU President Dr. Ivelaw Lloyd Griffith features Hanover’s work in his Office of the President newsletter. 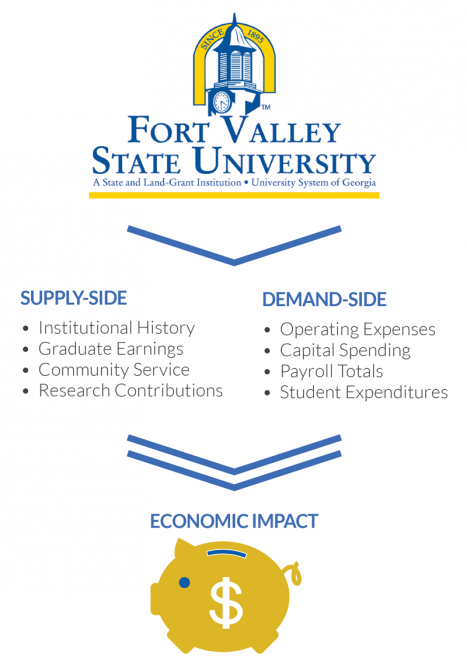 FVSU shared the following one-pager, FY 2013 Economic Impact of Fort Valley State University, at its Fall Meeting of the Global Initiatives Council. To access a copy of the pager, click on the image below.